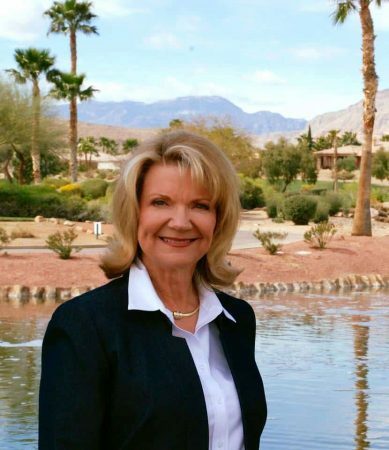 Linda Cannon is the Republican candidate for Nevada Assembly District 9. She will place the needs of her neighbors and Nevadans ahead of any other agenda. She wants to see Nevada’s economy to continue to grow and unemployment rates to stay down. Linda cares deeply about the success of Nevada’s businesses, she will reject any legislation that is not pro-business. Moreover, she will continue to support the repeal of the overburdensome Commerce Tax enacted during the 2015 legislative session. SJR14 is another tax Linda will vote against when it comes up during the upcoming session. This bill will increase property taxes as much as triple a home’s current tax bill. Anyone living on a fixed income would be hit hard if SJR14 is passed. Many seniors retired in Nevada because of its affordability. Continuing to support tax and spend legislation makes it more difficult for retired people on fixed incomes. Linda will oppose additional taxes which will make lives difficult for less fortunate citizens. Nevada does not need an amendment to its Constitution to change how homes are assessed. This joint bill was voted on by the state’s Senate and Legislative bodies during the 2017 session. It passed but requires a second vote before going to the governor for his signature. Nevada’s future depends on educating its youth. Unfortunately, the state’s schools are ranked at the bottom of the nation and have been for several years. Increasing education funding has not improved the situation. Not only are the students falling behind but the district implemented policies and regulations contrary to parents’ desires. One alternative is the Educational Savings Accounts (ESA), which was passed in the previous legislative session. However, no terms have been established for funding the program. Linda will vote for solutions to these problems. She also supports school choice options. As your next legislative representative for Nevada Assembly District 9, Linda Cannon will listen to her neighbors. She will make sure their voices are heard in Carson City. All citizens in the state will benefit from her choices since their needs matter to her. LindaCannon is the best choice for AD9.